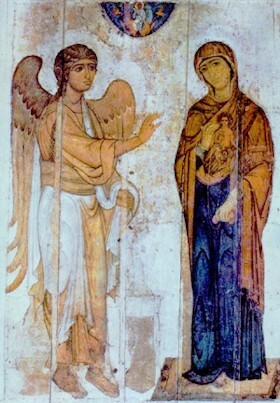 The feast of the Annunciation, the day on which our salvation begins, is so important that in the Byzantine Churches it is never moved, no matter what day on which it falls, even on Good Friday. Why? Because the date of the Incarnation supersedes everything, this feast must be observed. If it falls on Good Friday, then the joyful Annunciation Liturgy is celebrated in the morning, with bright colors per usual. Then the rest of the day is given over to the sorrowful passion of Our Lord. Without the Incarnation, nothing else would have happened! I was reminded today by a Roman Catholic priest of the time when that last occurred, and how powerful it was to him to participate in first the joyful glory of the Annunciation and Christ’s incarnation in the womb of the Virgin Mary, and then the agony and dying of that same Christ and His deposition into the lap of His mourning mother, all in one day. It was the fullness of salvation history presented to us, in a most powerful fashion, that left us both exalted and numb with the enormity of it all. In this awe-inspiring image from medieval Russia, the reality of the Incarnation is made clear. As Gabriel speaks the word to Mary, at her assent the Word of God takes human form within her. This marvelous icon dates from the first centuries of the evangelization of ancient Rus’, in the 1100s, and is one of the few icons of that time to have survived the atrocities of the Mongol invasion and the yoke of the Golden Horde that was imposed on the nations and Church alike. May its power speak to our time, which assents so blithely to the atrocity of widespread abortion on demand in the northern hemisphere, and imposed on so much of the southern hemisphere. God took flesh at that moment. So too, we take flesh at that moment of conception. May the hearts of those who seek to destroy innocent children in the womb be moved on this feast! In the history of Catholic Russia, this feast holds a special place. 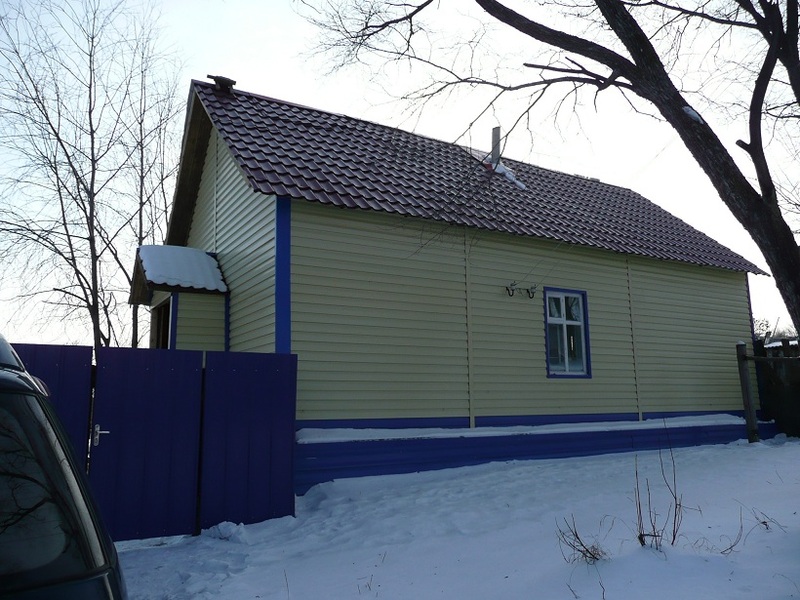 In the Siberian town of Blagoveshchensk, a Catholic woman was pregnant in 1937. Her husband was in one of Stalin’s gulags, and she did not know her future. The Catholic parish was long since closed, the priests killed or worked to death, and she had scheduled an abortion. But on this day, as she went to the clinic, she pondered the name of her town, which is named for the Annunciation. Realizing that Jesus took flesh on this day, she turned away and went home, and later gave birth to a son. That son grew up to become the man who would lead the restoration of Catholic worship in post-Soviet Blagoveshchensk, in the chapel seen below. May many more such miracles occur so that people make this connection in their minds!